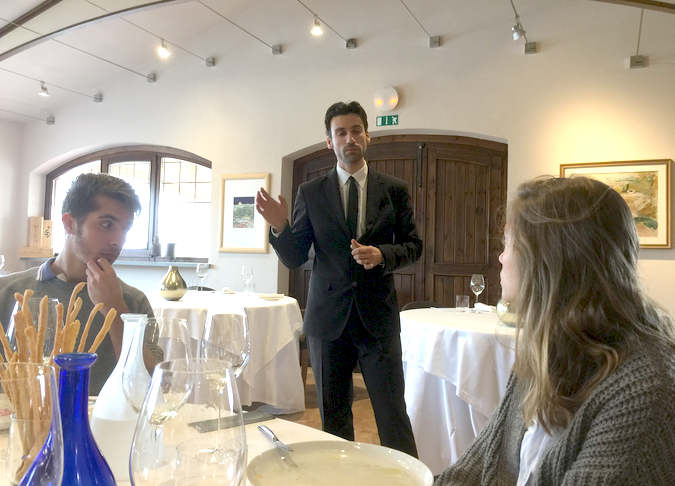 “Hello – I’m Eduardo,” says a tall young man as we enter the Sylla Sebaste winery in Barolo. 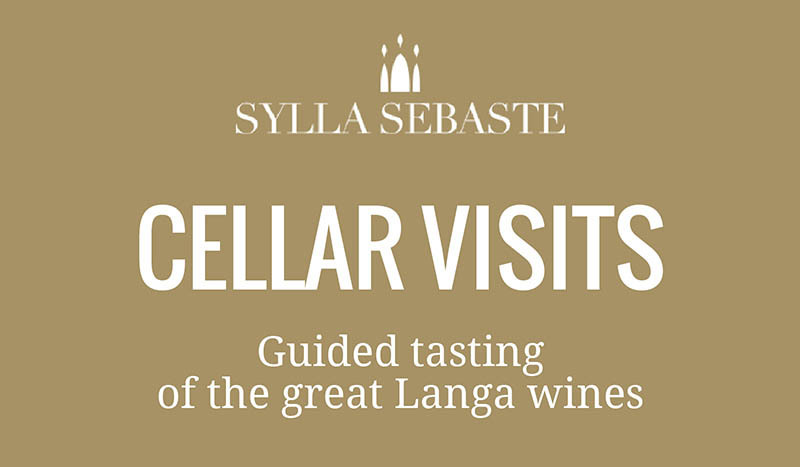 It is a cold, grey day, but the Sylla Sebaste winery is attached to a restaurant where we now stand, offering magnificent views of vine-covered hills as well as the aromas of delicious food. It is revealed that Eduardo is acting as host to replace his father, Fabrizio Merlo, who was called away at the last minute. And though just 18 and in his first year at University, Eduardo is a perfect Sylla Sebaste host. The visit starts with a tour of the Sylla Sebaste winery — Eduardo’s father and oenologist uncle purchased in about a decade earlier, and replaced much of the equipment. The vines, too, it seems, are in the process of being replaced. They are at the age where it is more expensive to maintain them. As Eduardo shows us around, I hear the story of his family, and how his father/uncle were motivated to buy and develop the winery after working in another field. Eduardo himself is majoring in literature, while his younger brother is taking up oenology. The tasting takes place over lunch — the winery has formed a partnership with a chef, and during this busy period of tourism, is quite busy. There is a set menu, and wines from the winery are paired with the dishes. We start with the 2015 Arneis – it is a scintillating straw color with delicious aromas, very floral, and with high acidity. The 2015 Gavi is also a pale color, but is more saline with notes of green olive and herbs. Now the reds! 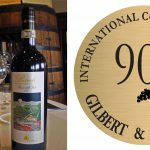 2014 Barbara D’Alba is garnet in color, fading to a watery white meniscus with aromas and spiced blackberry – lots of bramble and black fruit. 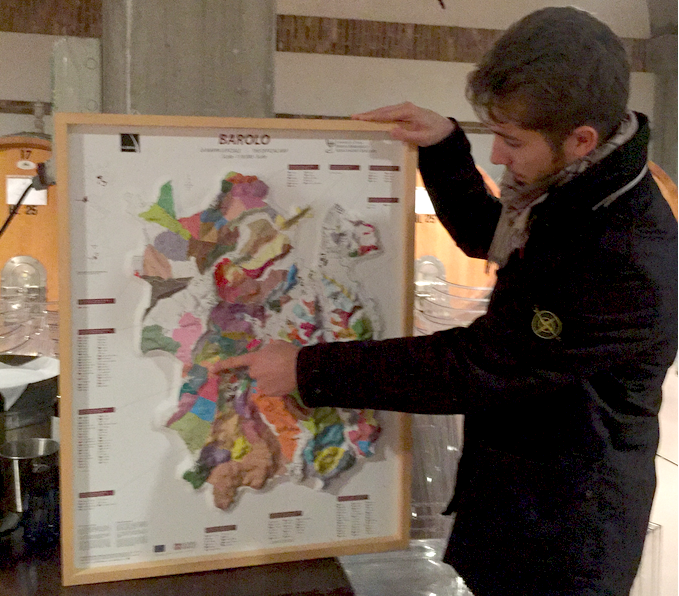 2012 Nebbiolo d’Alba has a transparent color, more aromas of black fruit, and a long finish. 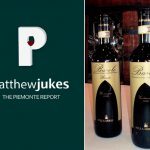 2012 Barolo DOCG is from the Bussia vineyard … aromas of roses and tar, with racy acidity and excellent integration of concentrated fruit, aged for three years in barrel, one in bottle. The visit with Eduardo was fabulous – he is a great ambassador for his family’s winery. “Let’s make wine fun and approachable!” says Marisa D’Vari, fine wine journalist and judge. In addition to writing for the world’s most authoritative fine wine magazines, she is a judge at prestigious wine competitions including London’s International Wine Challenge and the International Wine and Spirits Competition. 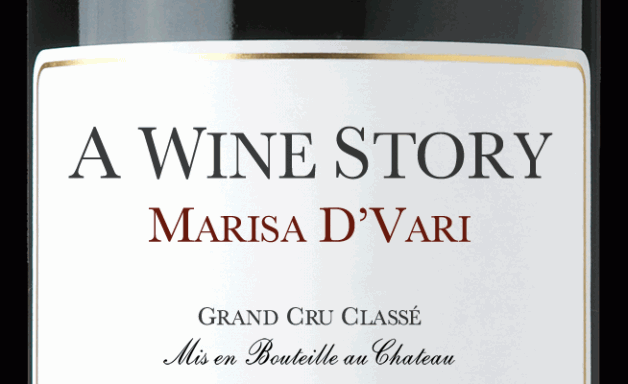 D’Vari, currently a candidate in the Masters of Wine educational program. She holds three of the most important and rarest international wine designations: the Diploma of Wine and Spirits (WSET) from the Wine and Spirits Educational Trust, one of 373 individuals (as of August 2016) to earn the Certified Wine Educator (CWE) designation from the Society of Wine Educators, and the second-level ‘Certified Sommelier’ designation from the Court of Master Sommeliers. She holds numerous diplomas from the American Sommelier Association and theSommelier Society of America, and recently completed the OIV Wine Marketing Program from UC Davis. 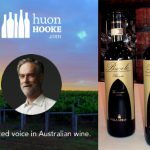 D’Vari is the first American to be invited to join the UK’s prestigious Association of Wine Educators, and is a member of high standing in the distinctive international organizations Circle of Wine Writers (CWW) and FIJEV (Federation Internationale des Journalistes et Ecrivains des Vins et Spiritueux). D’Vari is program co-chair for the Manhattan-basedWine Media Guild and an active member of the Guild of Sommeliers. In December, she will finish her 3 year winemaking program at UC Davis. Holding the Fine and Rare Wine Specialist Diploma from Weinakademie Österreich at Palais Coburg, D’Vari has also received the DUGGAT – Diplôme Universitaire du Goût, de la Gastronomie et des Arts de la Table from the University of Reims, France. Marisa D’Vari’s articles about wine appear in London’s FT, World of Fine Wine, Decanter, Robb Report, Quarterly Review of Wine, the San Francisco Chronicle, Meininger’s, Sommelier Journal, Food Arts, Drinks Business, South China Morning Post, Sante, Palate Press, and many more. Her extensive journalist career and accolades earned her acceptance to the American Society of Journalists and Authors, the national organization of independent nonfiction writers who have met ASJA’s exacting standards of professional achievement. Based in Manhattan, she is more typically found in wine regions of the world, exploring the terroir, meeting with vignerons, or at events such as En Primeur in Bordeaux and Burgundy for the Hospieces de Beaune. Follow her on Twitter or Instagram to see where she is right now. 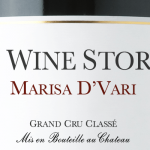 In Boston, D’Vari had produced and hosted the television show A Taste of Luxury in which she interviewed the late Robert Mondavi and Julia Child, Daniel Boulud, Adam Tihany, Charlie Palmer, Todd English, and similar guests from 1995 to 2003. A So Cal gal (and UCLA grad), D’Vari had previously been an executive at TriStar and MGM studios working with screenwriters to develop stories. “People love stories,” D’Vari says. “As a wine educator, I use very entertaining and dramatic stories about wine to help them learn.” While in Boston, D’Vari taught a diploma level course at the Cambridge School of Culinary Arts, served on the board of the Roger Saunders School of Hotel Management, and taught extension classes at Harvard and Emerson colleges while also teaching presentation skills to corporations such as Gillette on the topic of publicity.